LCHP’s own Diane Weems Ligon will be a speaker at a Book and Author Event sponsored by the Prince George’s Historical Society. 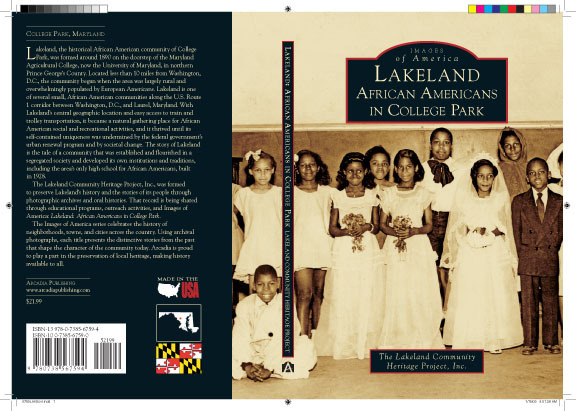 She will speak about Lakeland: African Americans in College Park. Others will be on hand to present other publications on Prince George’s County including a new book, Confluence of Cultures. All the books will be available for sale. This event will take place on November 12 from 1 to 4 PM at Greenbelt Library, 11 Crescent Road, Greenbelt, Maryland. Join Ms. Ligon that afternoon and learn more about ourPrince George’s County.